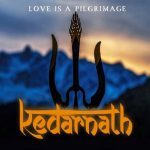 Kedarnath is an Upcoming Bollywood movie starring Sushant Singh Rajput and Sara Ali Khan. The film is based on a love story set during a pilgrimage. The movie is directed by Abhishek Kapoor and produced by Balaji Telefilms. The film is scheduled to be released in June 2018.